If you are interested in a career in beauty, you have a few options. From hair to aesthetics, your job is to help people look and feel their best. While doing your research, you might come across the career field of an aesthetician, but what are they and what do they do exactly? The job for an aesthetician varies depending on where you work, but there are some basic job duties you can expect on a day-to-day basis if you choose this path. What makes the career field of an aesthetician so exciting is that you are helping people look beautiful, younger, and achieve the results they want without dangerous surgeries. You are a skin care specialist, and you work in a spa or salon. Some plastic surgeons and dermatologists also employ aestheticians for their clients that do not want surgery, but if they have problematic areas, they need to be treated by a professional. What Treatments Can an Aesthetician Perform? The bulk of your work is done on the face, but sometimes you may apply treatments to the rest of the body. During your training, you will learn how to treat various areas of the body. Aestheticians are trained to invigorate and cleanse the skin. You will give clients facials, but also help clients remove dirt and clean out their pores. For clients with acne-prone skin, you may provide acne clearing and prevention treatments a few times per month to maintain their youthful glow and keep embarrassing breakouts at bay. You will also perform exfoliation treatments, which remove old and dead skin cells so that new, healthier skin can emerge. As an aesthetician, the skin is your domain. 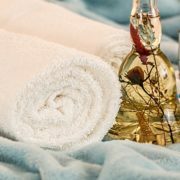 Therefore, you might also provide your clients with body wraps for relaxation and full-body scrubs. You may help your clients with chronic dry skin and acne on the body too. Clients see their aesthetician because they want to restore their youthful glow. Some procedures you might perform to help your clients achieve that include chemical peels, microdermabrasion, and facial massages. Estheticians are also trained in professional hair removal. You may provide clients with eyebrow waxing and shaping, body hair removal, and in some cases, laser hair removal. Laser hair removal requires additional training outside of the regular aesthetician program, but more professionals are getting this training because of the demands from their clients. 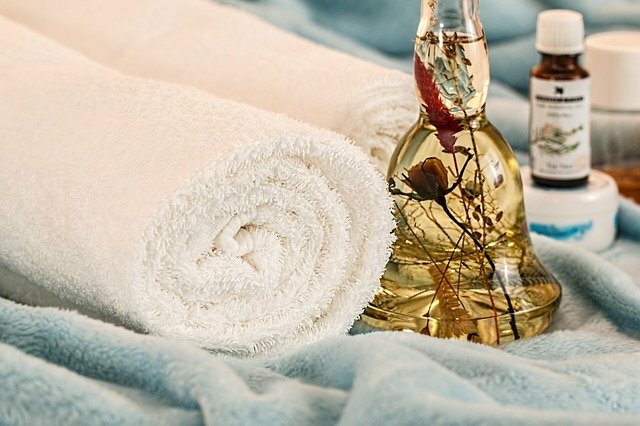 An aesthetician can also perform pedicures, foot massages, and is trained in aromatherapy to help clients relax. You may massage your client’s hand and face during treatments as well, and you learn pressure points to relieve stress. Aestheticians also help their clients with makeup applications, eyelash tinting, eyelash extensions, and removing unwanted facial hair. While aestheticians are not medical doctors, and they cannot prescribe medical treatments, they are trained to look out for common skin concerns, including eczema, rosacea, and skin cancer. They will recommend seeing a physician if there are areas they are concerned about. Some aestheticians take their education further and enter the career of medical aesthetician and paramedical aesthetician. This requires additional schooling, and once you complete it, you can work primarily in the cosmetics field helping burn victims, accident victims, and patients recovering from surgery. To be a successful aesthetician, you must stand out in the sea of options. That means attending a credible training program such as what is offered at Preston’s Beauty Academy in Marietta, Ohio. Our Ohio and West Virginia programs have helped countless people just like you get into a career field they are excited about. Learn about our aesthetician training courses today or call to apply at 740-374-5434.